Two Michigan Department of Environmental Quality officials and a local water treatment plant supervisor were charged Wednesday with evidence tampering and additional felony and misdemeanor counts related to the widespread problem of lead-tainted water in Flint. 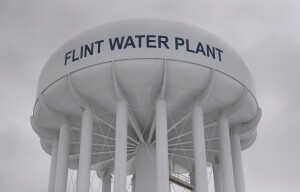 The charges were filed following an investigation by the Michigan attorney general’s office into what happened following residents’ complaints about the murky water and elevated levels of lead appearing in their blood. Michael Prysby, a Department of Environmental Quality district engineer, and Stephen Busch, who is a supervisor with the DEQ’s Office of Drinking Water, were charged with misconduct in office, conspiracy to tamper with evidence, tampering with evidence and violations of water treatment and monitoring laws, reported the Associated Press. Flint utilities administrator Michael Glasgow was charged with tampering with evidence for changing lead water-testing results and willful neglect of duty as a public servant, according to the AP. Busch is on paid leave after being suspended, and Prysby recently took another job in the department. Flint, which has a population of about 99,000, has been under a state of emergency for more than four months. Residents are using filters and bottled water until the pipes can be fixed.